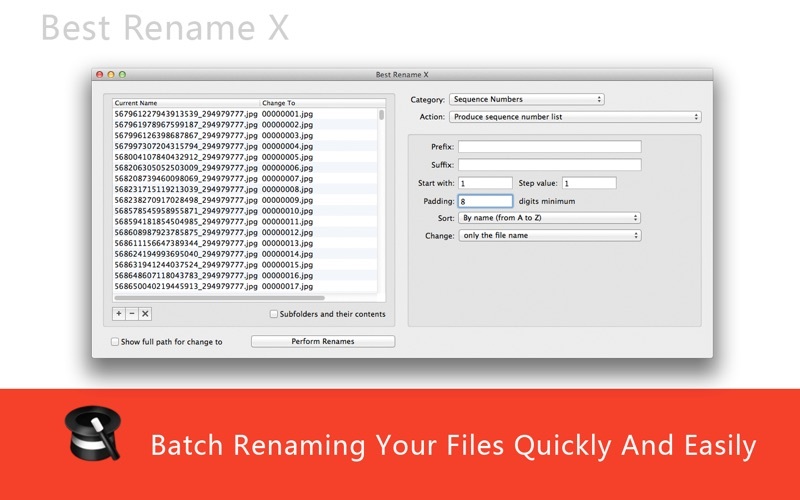 Best Rename X is a file renaming app for batch renaming your files quickly and easily. Best Rename X allows you to easily rename files and entire folders based upon extremely flexible criteria. - Rename files in many ways: add, replace, insert text into file names. - Convert case, add numbers. - Remove or change file extensions. - Rename photos using EXIF meta date. - Rename your holiday pictures from a meaningless IMG_3125.jpg to NewYork_001.jpg in a flash. - Change file's creation and modification time stamps. Download and start renaming your files now!